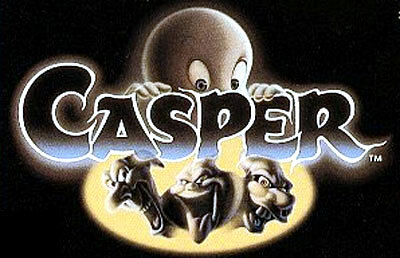 Follow the adventures of the friendliest ghost around with CASPER for the Super Nintendo. Based on the hit 1995 movie, the game follows the plot of the film closely. Casper is on a mission, and he must explore Whipstaff Manor for clues and solve puzzles as he avoids the ghostly trio of Stinky, Stretch, and Fatso who are looking to put a stop to Casper's adventure. The game is played from an isometric perspective, which shows the rooms and hallways of the mansion in high color and detail. You'll have to search the rooms of this huge estate carefully for items such as keys and puzzle pieces that will help you unlock other sections. You can also learn new abilities and gain ghostly powers to further aid you in your adventure. CASPER is for one player only, and is only compatible with the Super Nintendo.